Voice Over Talent and Voice Over Actors and Commercial Voice Over for Radio, TV and Film. Male Voice Over Talent and Voice Over Actors and Commercial Voice Over for Radio, TV and Film. 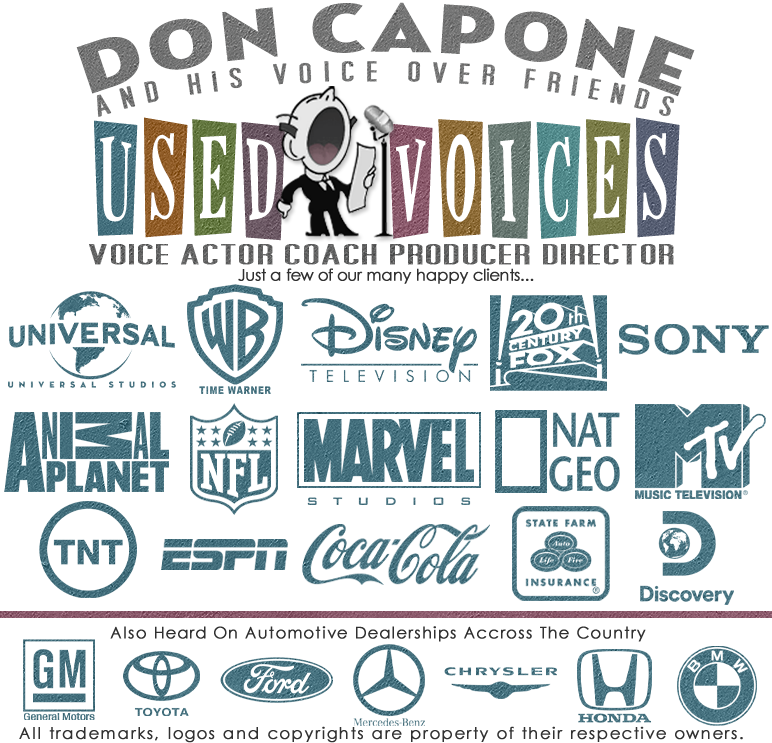 We offer male voice over talent from the top voice over actors in the voice talent industry. With professional commercial voice over for radio, tv and film. Contact us for voice over pricing. Commercial Voice Over and Voice Over Talent Services. Voice Actors and Professional Voice Over from Voice Over Artists. Find Voice Over Talent for Radio Commercials, TV Commercials, Movie Trailer Voice Over, Documentary Narration, Automotive, Video Game Animation and Cartoon Voice Over. voice over actors, male voice over talent, voice overs, voice actors, voice talent, voice over artist.